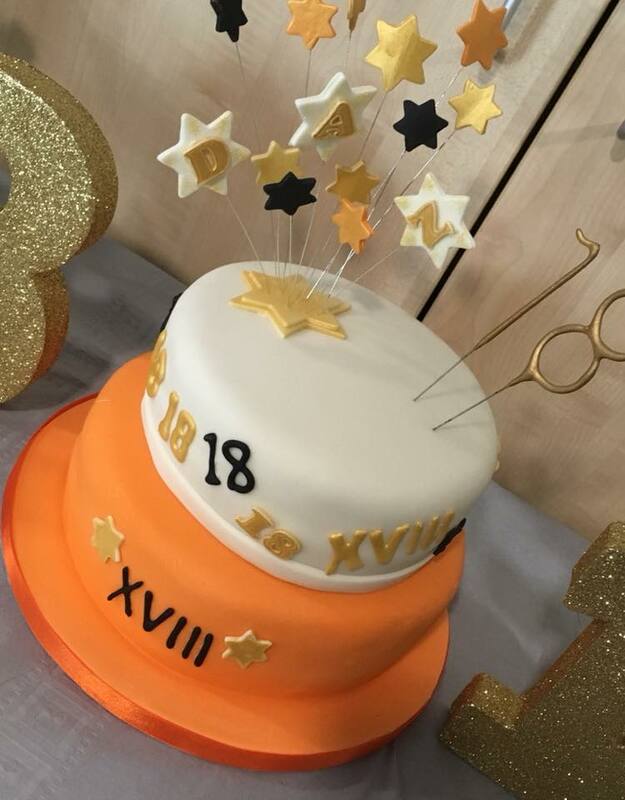 Happy Birthday to Dan who celebrated his 18th last week and enjoyed a family party yesterday! Both cakes were a light, moist, lemon sponge. Numbers were made with royal icing and a few fondant ones, with fondant starts on wires. A number 18 sparkler candle finishes it off.